A truck rumbled down a road in Uttar Pradesh, India, but it didn’t get very far. Following a tip-off, police stopped the driver and demanded to search the vehicle. What they found was shocking — 800 Indian flapshell turtles had been stuffed inside burlap sacks, and they weren’t doing very well. Wildlife traffickers had caught the turtles from nearby marshes and wetlands, and kept them in a holding area until there were enough for a full shipment. The plan was to sneak the turtles to Kolkata in West Bengal, India, before they headed to Southeast Asia, where they’d be sold as food or for use in traditional medicine. Most of the turtles had spent several months without proper care by the time police found them, which left them weak and ill — and yet they were callously loaded into burlap sacks, piled on top of each other. 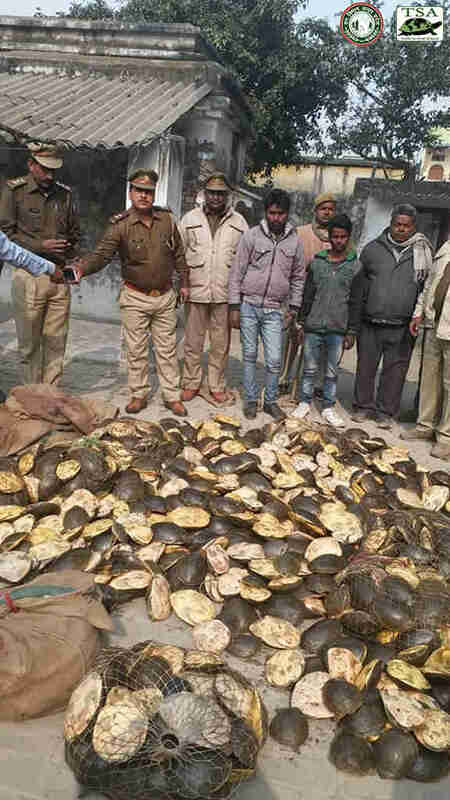 After stopping and arresting the traffickers, the police called team members from TSA and the Uttar Pradesh Forest and Wildlife Department (UPFWD), who rushed over to help the animals. They’re determined to save all the turtles they can — but sadly, many of the turtles were either dying or already dead. 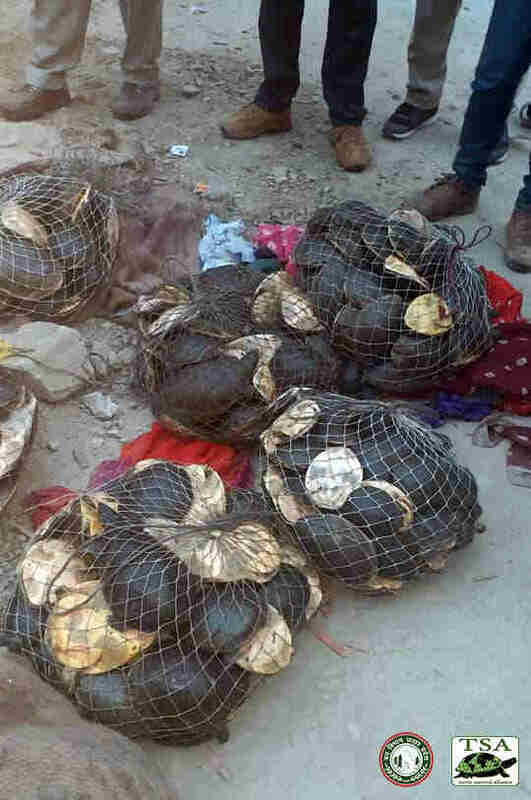 “The most upsetting situation in turtle rescues like these is when you open the sacks and animals literally start dying in your hands,” Shailendra Singh, Indian program director for TSA, told The Dodo. The lucky survivors were immediately taken to a rehabilitation center run by TSA, where a team of carers are helping them get better. These turtles aren’t the only ones who’ve been rescued from wildlife traffickers in India. 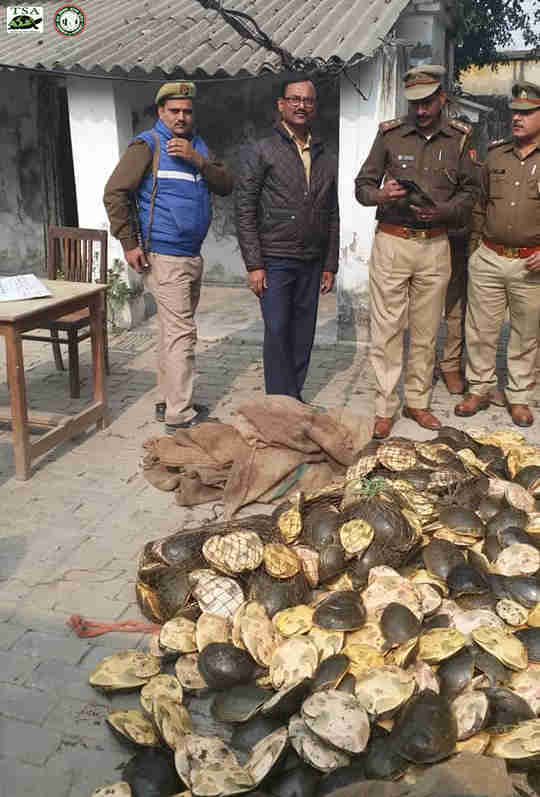 Since November 2018, nearly 7,000 turtles — representing seven different species — have been intercepted by authorities, according to Singh. Many of them, like the Indian flapshell turtles, are being trafficked for food or traditional medicine, but others are bound for the pet trade. But no matter what, the team at TSA will continue to fight against wildlife trafficking, and help as many turtles as possible. 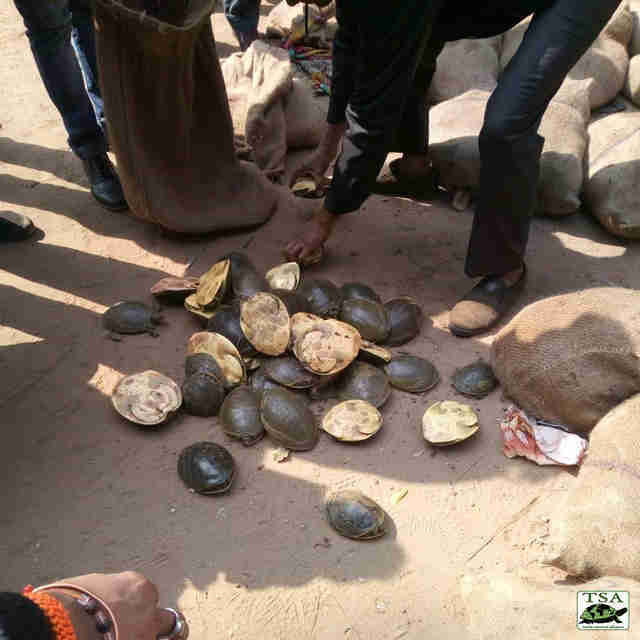 “Large consignments of seized turtles are considerably draining on monetary, research and facility resources, however, we continue to care for every turtle seized from wildlife traffickers because our love for the animals and their perpetuity comes first and foremost,” Singh said. 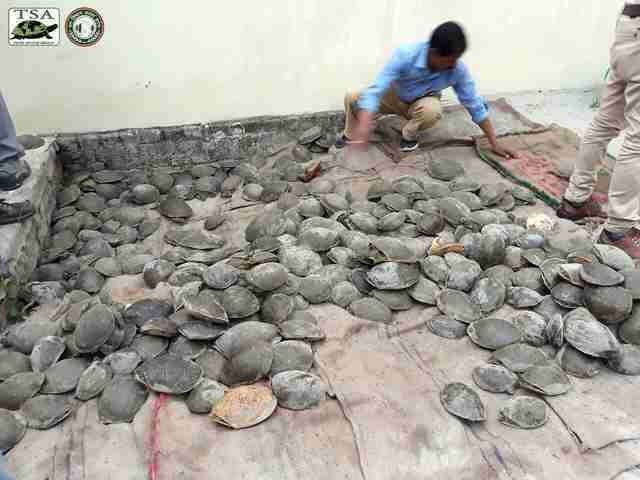 To help the rescued turtles in India get back into the wild, you can make a donation to TSA.